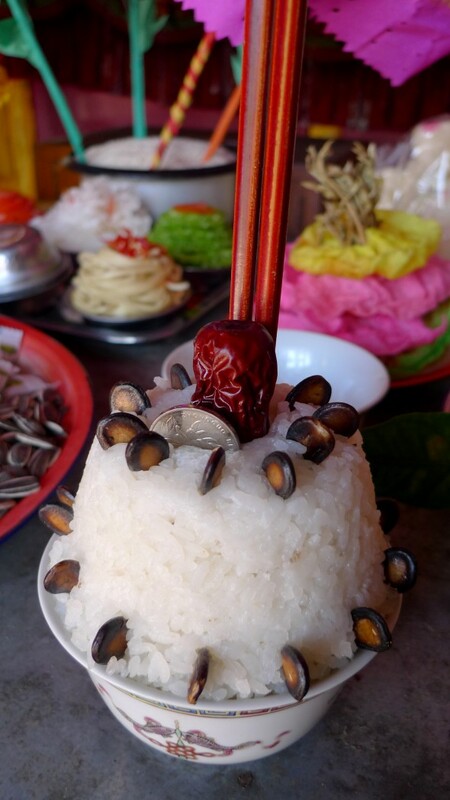 The upper shrine of The Pear Orchard Temple is devoted to the Jade Emperor (Yu Hang Ge 玉皇阁) the Taoist deity who oversees the three realms of heaven, earth and hell. 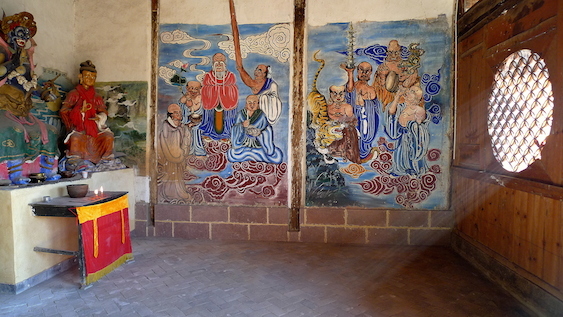 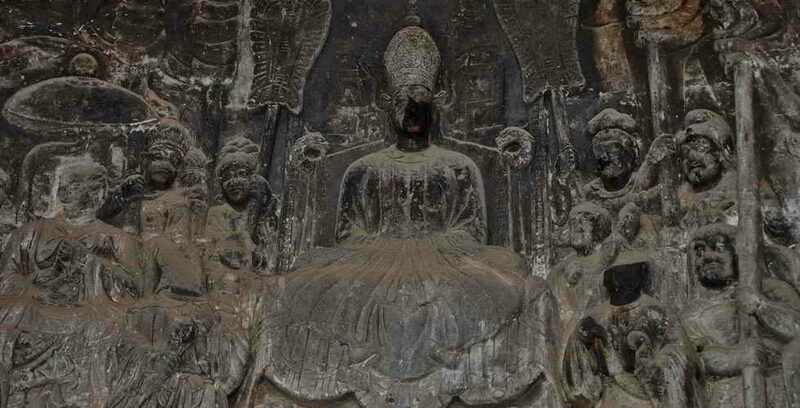 Housed in the same building below the Jade Emperor is the Sakyamuni Buddha and two arhats (saints or apostles) at his sides. In this courtyard there are two flanking halls with loft rooms, which were dormitories for the nuns who lived here for centuries up until 1960. 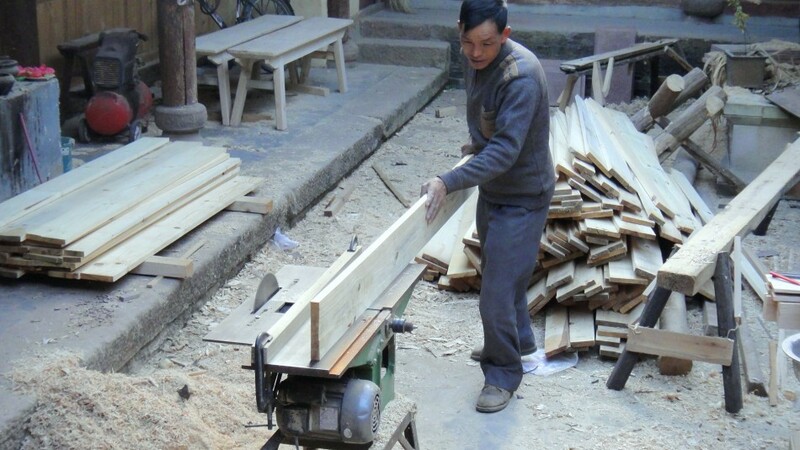 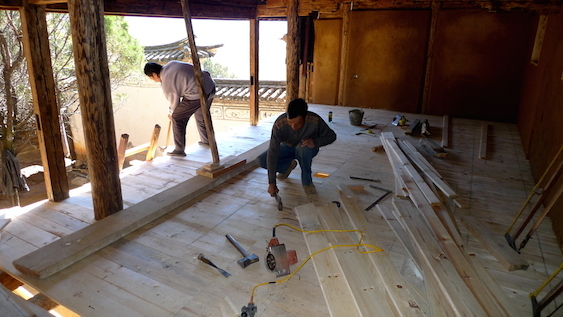 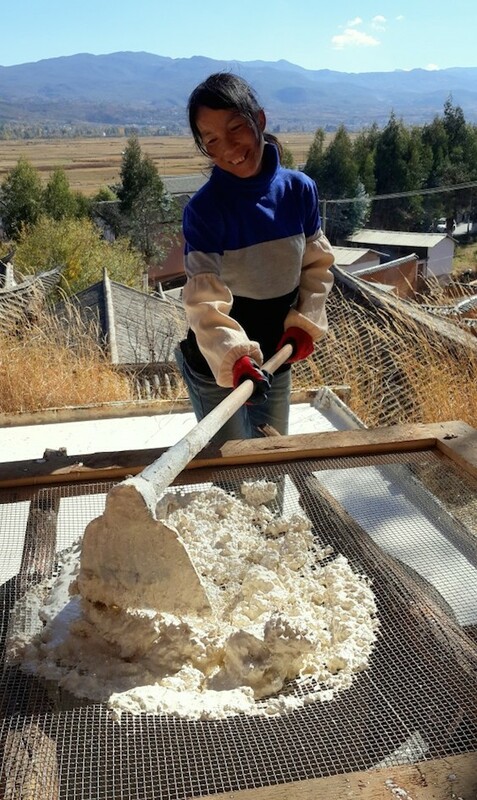 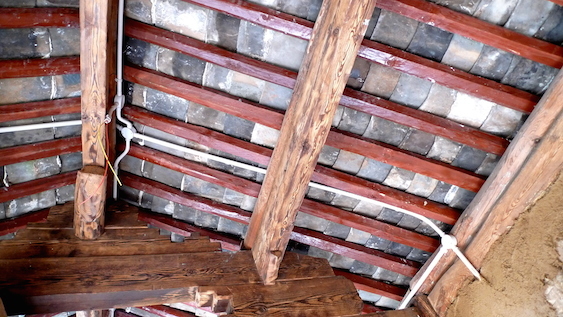 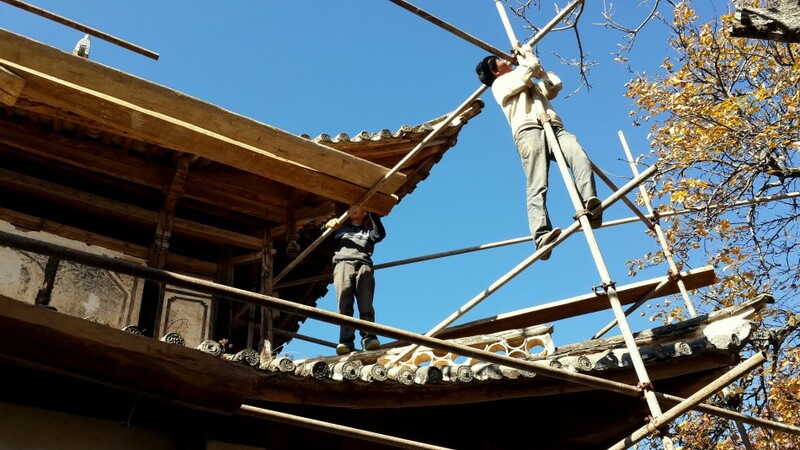 Though the rooms were nearly completely destroyed during the Cultural Revolution (1966-1976), our carpenters can see from the few existing wooden frames that there were doors and windows enclosing living spaces for the nuns, which we are restoring to the original. 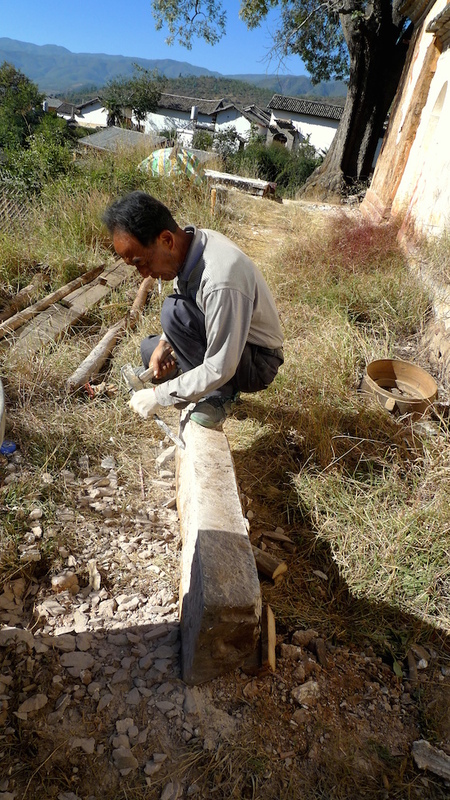 We cut down two 20-foot cypress trees as they were endangering the eaves of the Jade Emperor shrine. We will replace them with large potted trees after all work is finished. 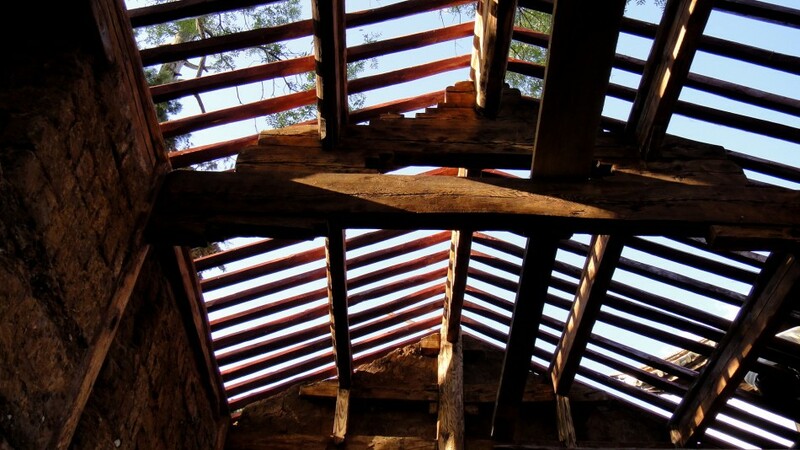 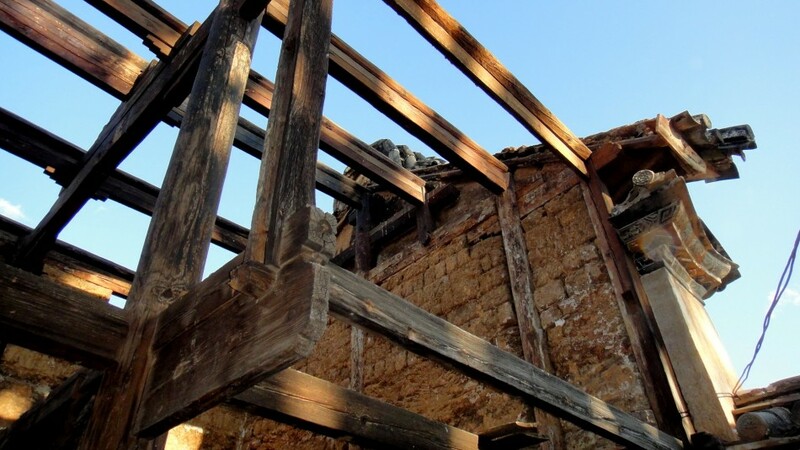 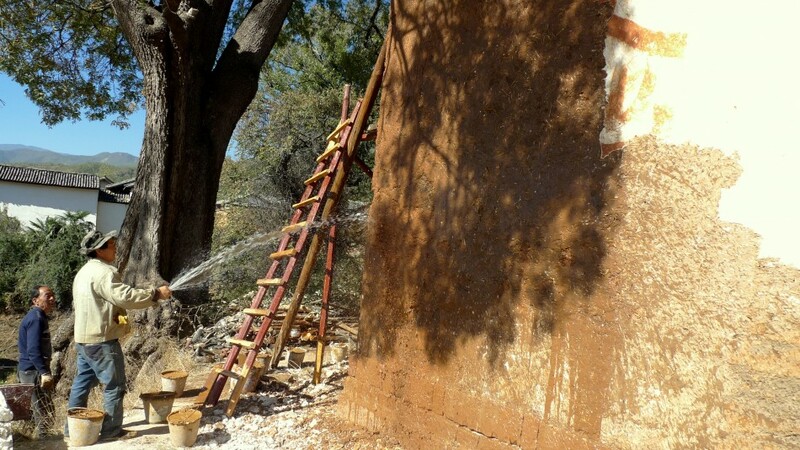 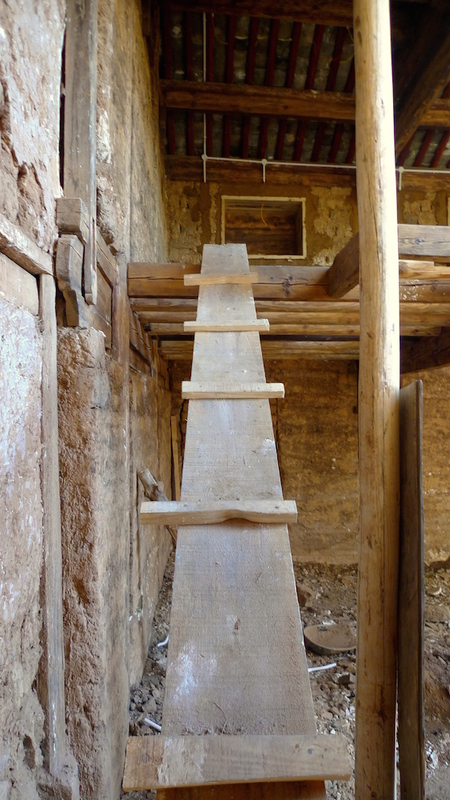 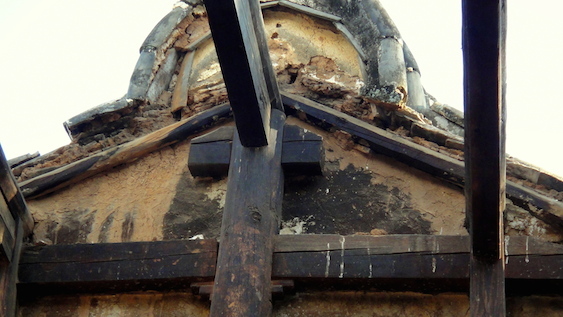 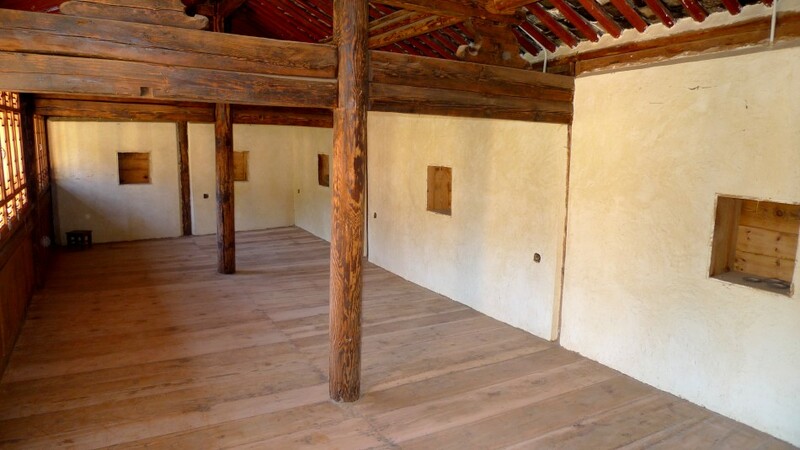 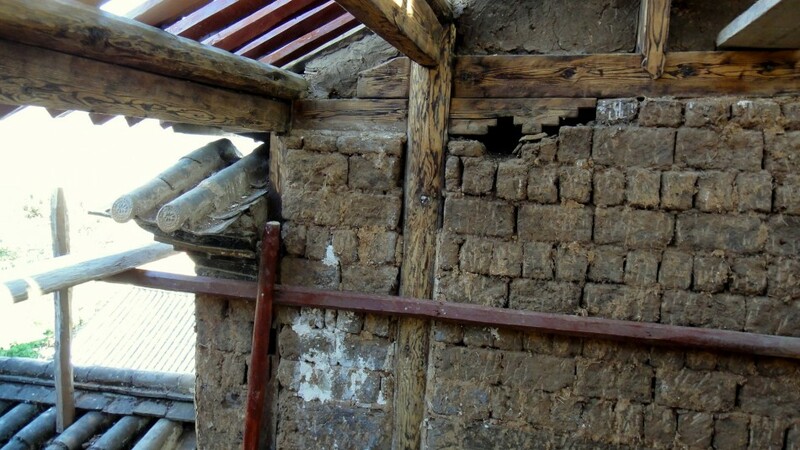 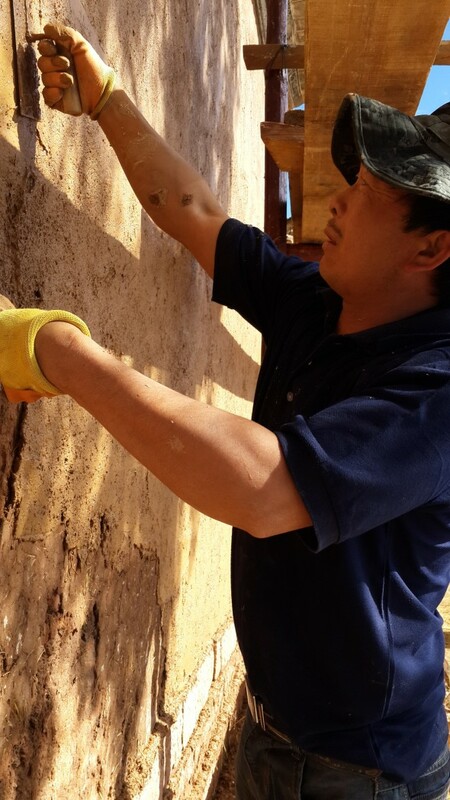 This last 20% of restoration work is most difficult given the degree of neglect of the roof and timber supporting this rammed earth and mud brick structure that dates back nearly 500 years. 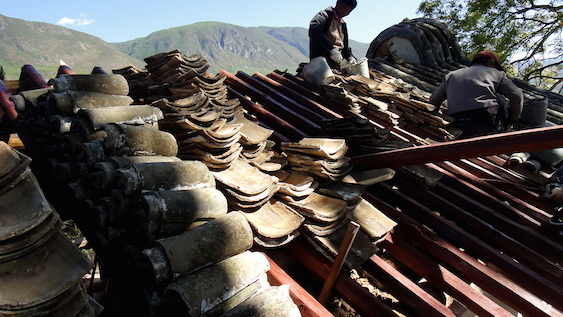 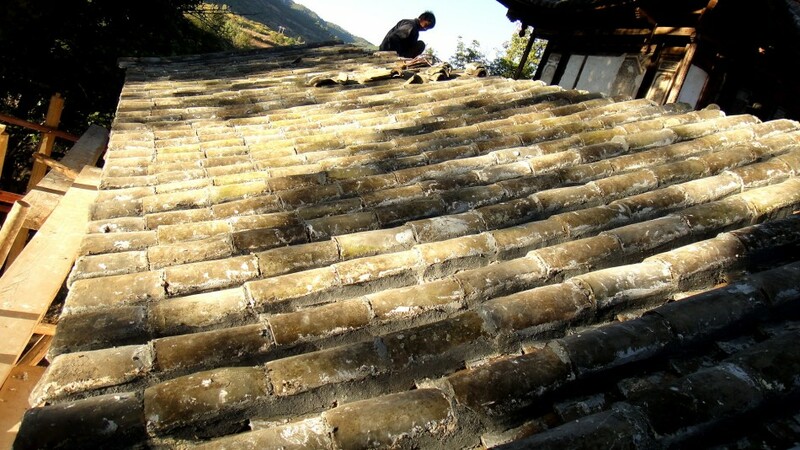 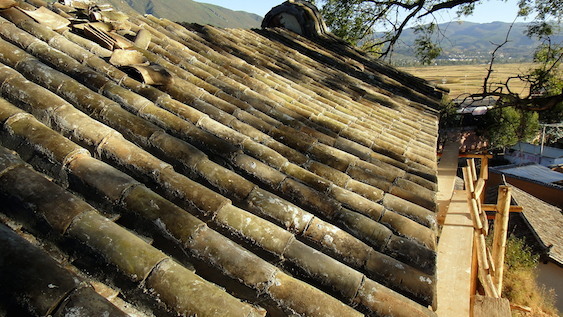 We have removed all roof tiles and cleaned off the lime and moss to replace them using homemade mortar once we have installed an entirely new roof truss. 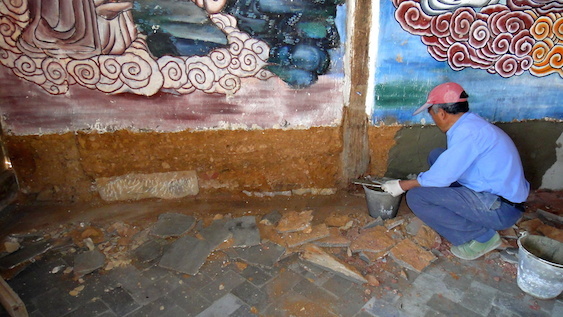 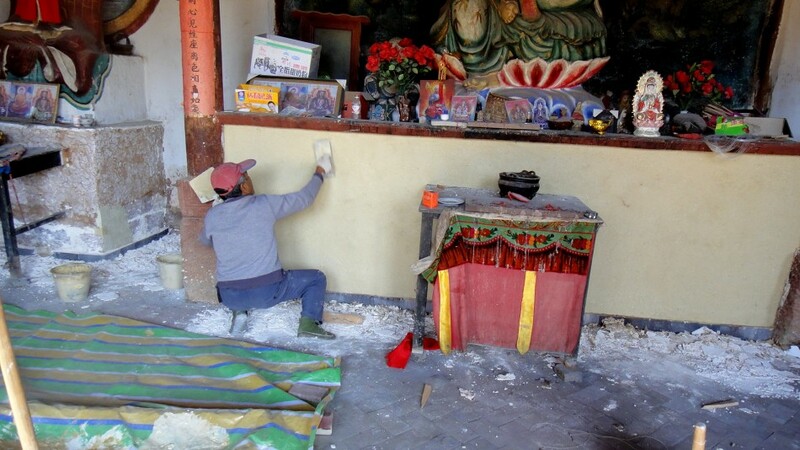 We will also be taking down the spirit wall （照壁) which is leaning in nearly 20 degrees due to earthquake damage. 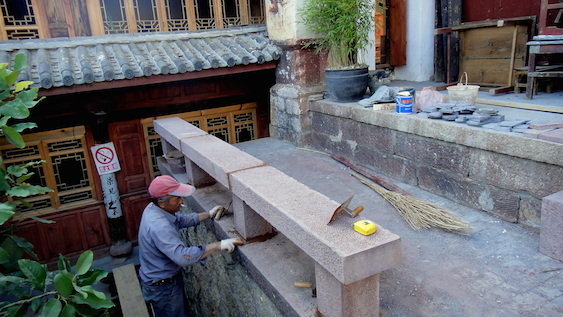 We will shore up the stone foundation and replace the entire 30-foot long wall and tile eaves. 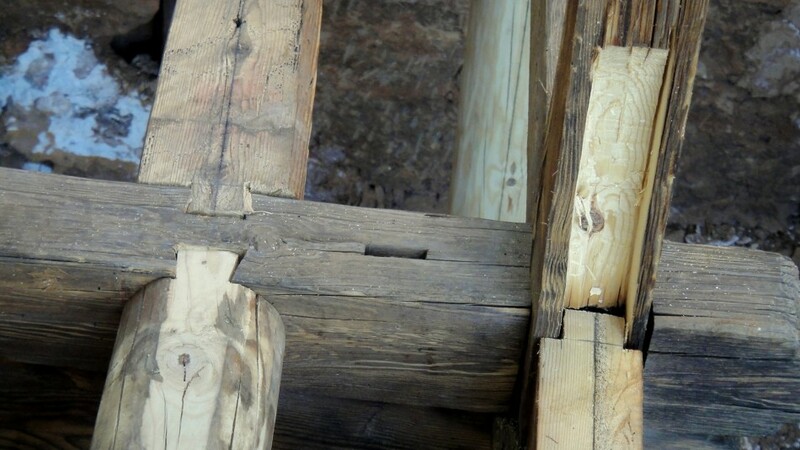 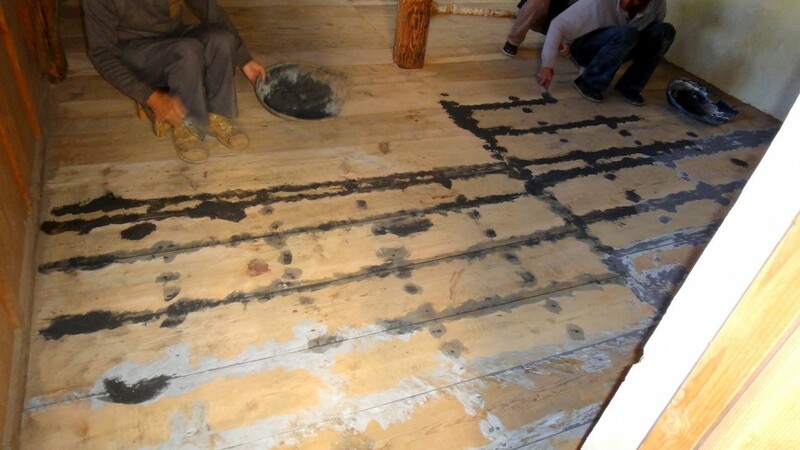 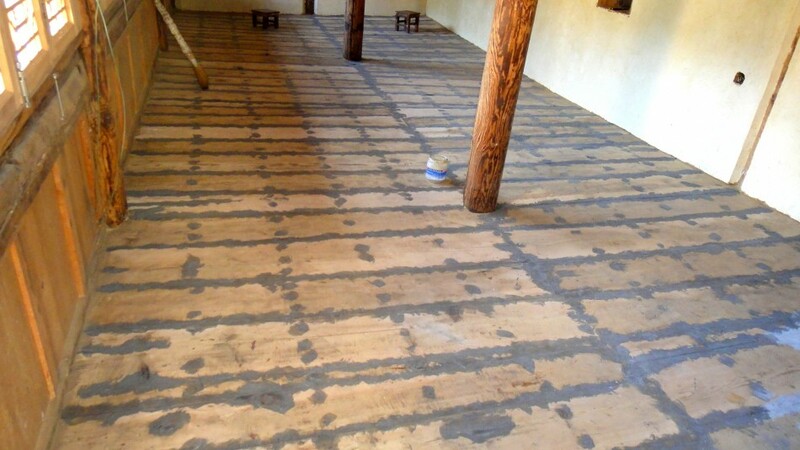 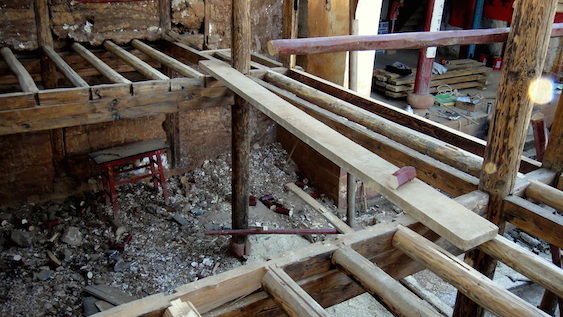 We are also replacing all loft floors including beams, and ground floor tamped earth with brick. 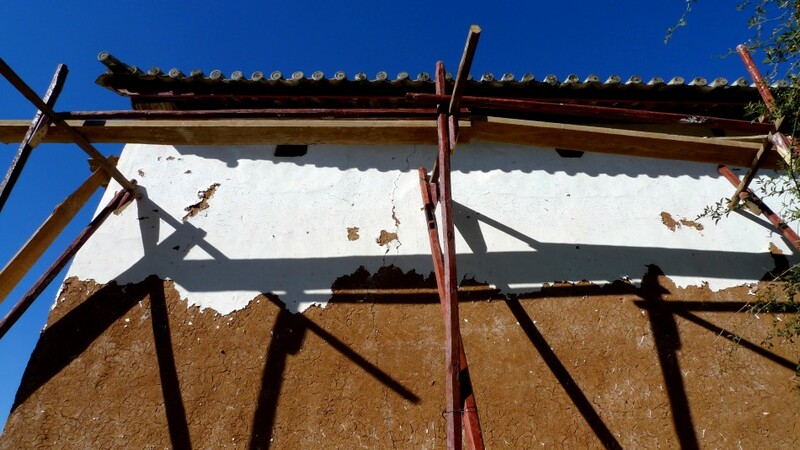 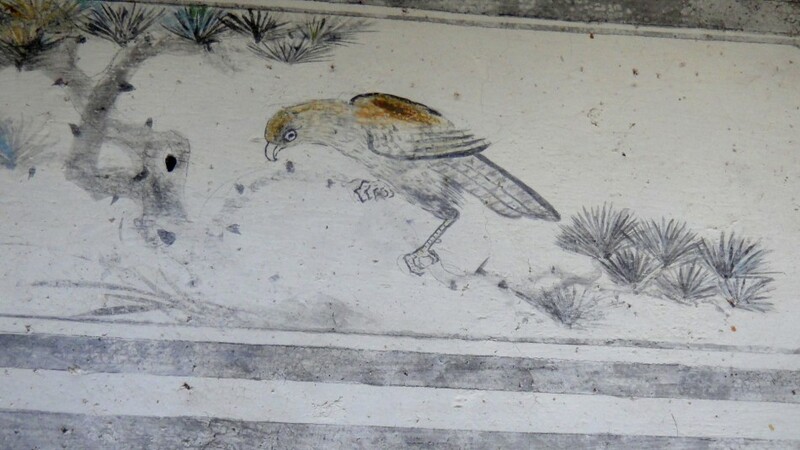 On the exterior, we’ve removed all loose plaster and applied a mud/plaster/rice husk rendering to which we will apply a smooth finish of lime/mountain grass and pigment. 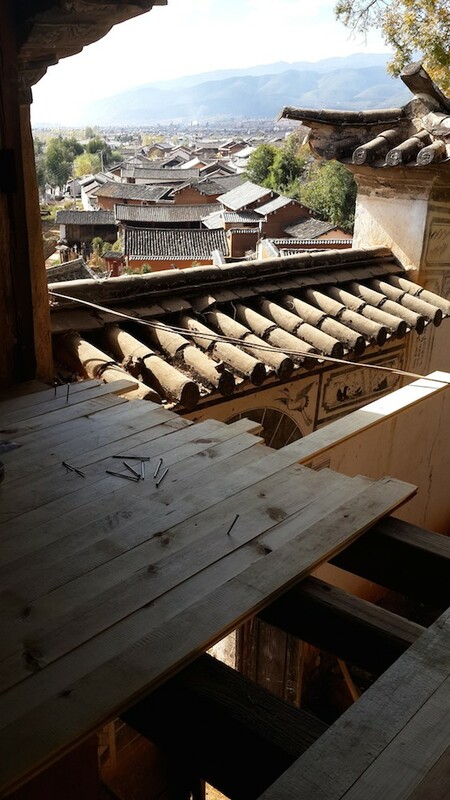 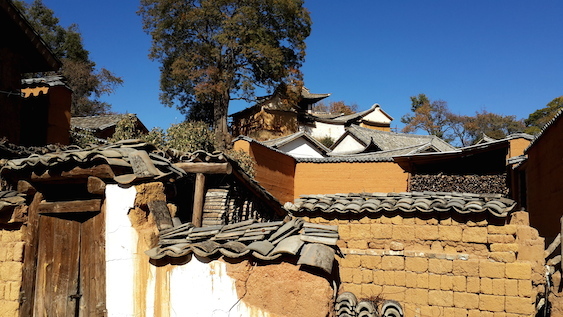 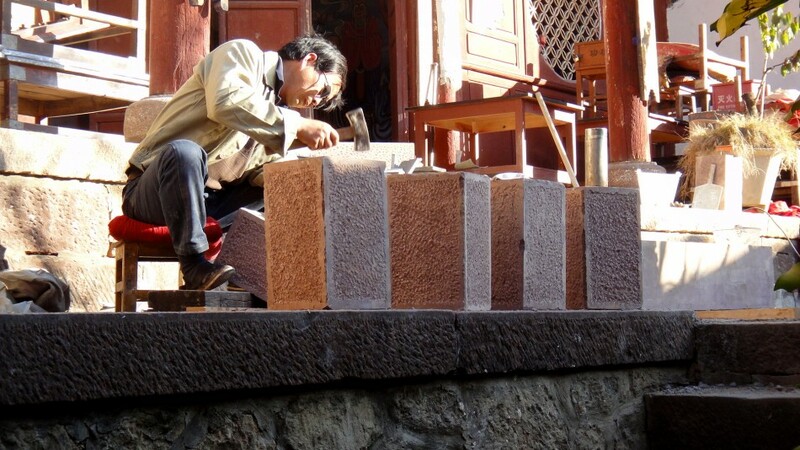 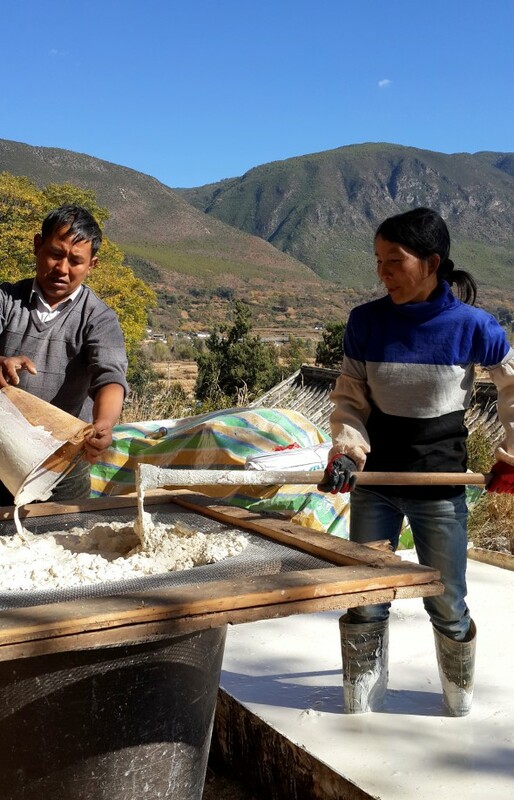 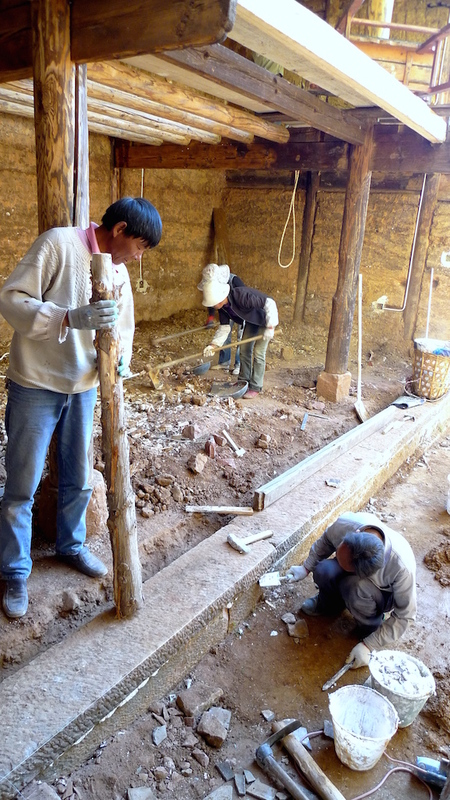 By Christmas, we will have re-built this important Shaxi Yunnan temple essentially from the ground up, to a quality standard that exceeds it’s original Ming Dynasty construction.